Queen + Adam Lambert toured Australia in 2014 to sold out arena shows and stunning accolades from fans and critics. The Adelaide date marks the first-time Queen has performed in Adelaide in over 3 decades! For their 2018 tour, the band will unveil a brand new show including a specially designed state-of-the-art production. The choice of performance material will no doubt acknowledge this year's 40th anniversary of Queen's biggest-selling studio album to date, News of the World from 1977, which yielded the immortal anthems "We Will Rock You" and "We Are the Champions". Disclaimer: Cost includes transport only. 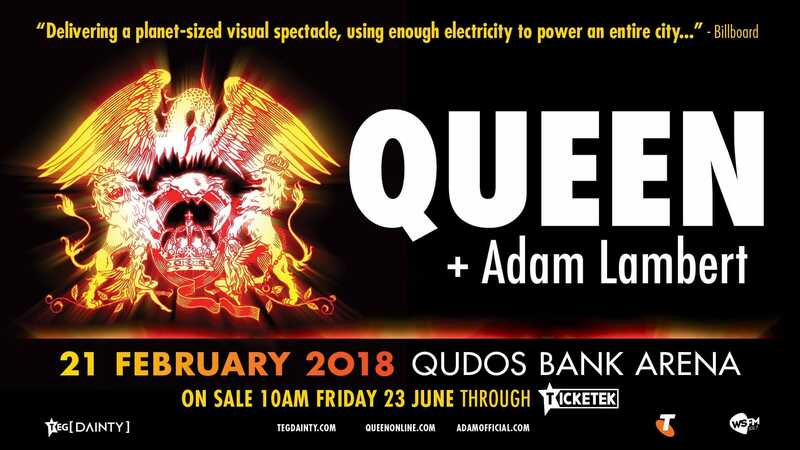 Queen tickets must be purchased from the required ticket agency before the event.